In NSW, driving with the presence of an illicit drug in your system is an offence. You could face a criminal conviction, a fine of $1,100 and a disqualification from driving for 6 months. How does mobile & roadside drug testing work? You will be required to wait for a few minutes to get the results. If your test is negative, you will be free to leave. The sample you provide will still be sent to a laboratory for further analysis. If the test comes back with a positive result, you will be banned for driving for 24 hours. The results will also be sent to a laboratory and if the positive result is confirmed you will be contacted by the police and issued with a Court Attendance Notice. The legislation also covers driving with the presence of prescription drugs. For example, if you have morphine present in your system when driving, you may be charged. The only defence to a charge of driving with prescription drugs in your system is confirmation to the Court that you were at the time prescribed the drug by a doctor. If you operate a motor vehicle, you are required to submit a saliva sample to police upon their request. If you fail to provide a sample you will likely be charged with refusing to provide a sample and may face serious penalties including disqualification from driving. A fundamental issue that has arisen from this law is the length of time some illicit drugs stay present in saliva. It is not a requirement of the police to prove that you were affected by the drug, they merely have to show that is in your system. Cannabis for instance is a drug that your body stores in your fat cells. The more you smoke or ingest cannabis, the longer it takes to leave your system. In some cases, it can take days or even weeks for cannabis to clear your system. In these two cases, the accused was detected with driving with cannabis present in their system. In Halper’s case, he had smoked cannabis approximately 4 days prior to being arrested. In Bugden’s case, he had consumed cannabis approximately 3 days prior. On appeal, in both cases the Judge determined that no conviction was warranted in the circumstances and drew particular attention to the varying length of time cannabis remains in the system. In 2016 His Honour, Magistrate David Heilpern found Joseph Carrall not guilty of ‘driving with illicit drug present in system’ due to finding that Mr. Carrall honestly believed that the drug would have been out of his system. Mr. Carrall had actually been advised by a police officer prior to this offence that he needed to wait at least 1 week after smoking cannabis before driving. Mr. Carrall gave evidence that he had last smoked cannabis 9 days prior to being stopped for a random test. Accordingly, His Honour, Magistrate Heilpern dismissed the charges against Mr Carrall. 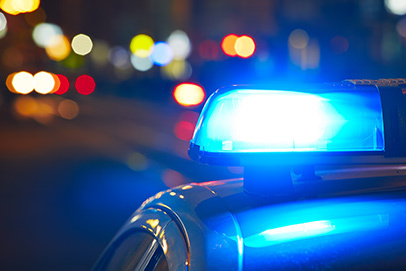 Nyman Gibson Miralis provide expert defence to drug driving charges. Contact us if you require assistance. NextNext post:Is bigamy legal in Australia? Is NSW the cocaine capital of Australia? Can Australia Improve its Drug Policy by Looking toward Portugal?